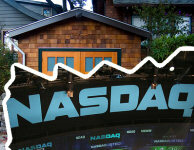 Your Business from Garage to NASDAQ…? Don’t let your idea die! Published on May 4, 2010 in Blogging. Tags: amazon, make money online, revenue.